Wax Seal Initial Necklace $9.99 + FREE Shipping (Reg. $16)! You are here: Home / Great Deals / Wax Seal Initial Necklace $9.99 + FREE Shipping (Reg. $16)! Hurry! 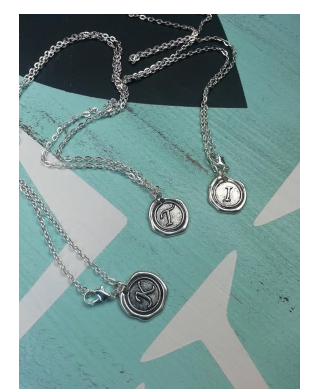 You can snag this gorgeous Wax Seal Initial Necklace (your choice of letter) for ONLY $9.99 + FREE Shipping (Reg. $16)! This wax seal initial necklaces make a perfect gift for the upcoming holidays (this will arrive after Christmas – check shipping options to see if you can get it sooner)! Each necklace hangs beautifully from a 24 inch chain.